"We anticipate that as a result of the substantial rise in the prevalence of obesity and its life-shortening complications such as diabetes, life expectancy at birth and at older ages could level off or even decline within the first half of this century." This paper goes on to suggest we could see children living shorter lives than their parents, an idea that circulates freely in the media to this day. 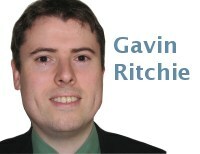 Expert evidence was clearly accumulating at this time but we've previously seen that sole-reliance on expert opinion can be misleading. It is therefore worthwhile to objectively consider what has happened to mortality in the recent past in light of some of these predictions. One reasonable way to approach this is this as part of a backtest. Figure 1 compares the best-estimate mortality forecast as at 2000 with observed mortality to 2010. The red points plot the actual/observed rates, whilst the grey line is the best estimate forecast by the model for the given age. 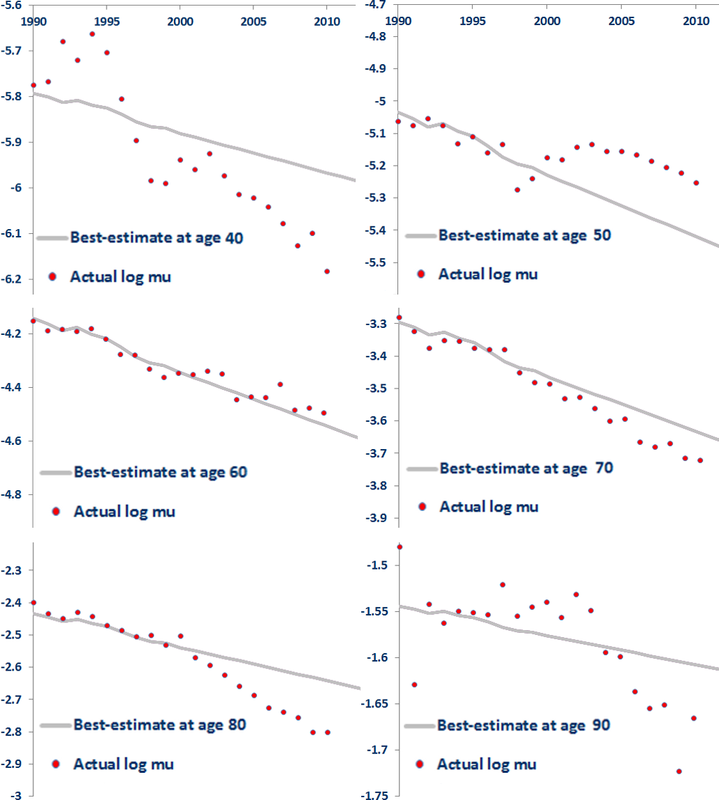 Figure 1: Best estimate log mortality forecast plus observed mortality to 2010 for selected ages from a Lee-Carter smooth alpha and beta arima (1,1,1) projection. Mortality data from USA (mortality.org) for years 1970-2000, ages 30-100. "Increasing levels of obesity over recent decades have been expected to lead to an epidemic of diabetes and a subsequent reduction in life expectancy, but instead all-cause and cardiovascular-specific mortality rates have decreased steadily in most developed countries and life expectancy has increased." Obesity is doubtless having a very real impact, but one that now appears more complex than presumed in the early years of the millenium. While expert insight is undoubtedly valuable, expectations and predictions are always vulnerable to incomplete knowledge and unstated biases. This is why it is a good idea to apply stochastic projections using all-cause mortality to benchmark any basis informed by expert opinion.